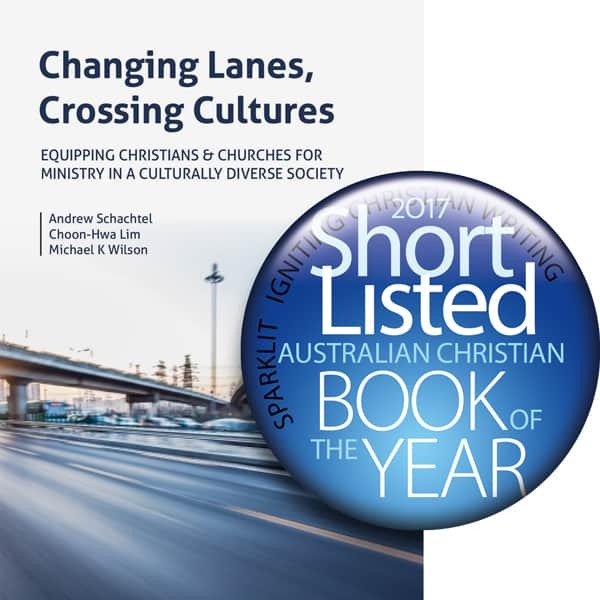 Changing Lanes, Crossing Cultures has been shortlisted for the 2017 Australian Christian Book of the Year Award. The award recognises and encourages excellence in Australian Christian writing. Entries are judged with an eye to the work’s original nature, literary style, design and contribution made to the Australian situation and market. This award is a recognition of the high calibre of this book. Congratulations to Andrew, Choon-wa and Michael! With over a quarter of Australia’s population coming from approximately 200 different overseas countries, no one could doubt that we’re now a very multi-ethnic country. Several million of these people have made Australia home, but they often have very little contact with Christians, and minimal understanding of the gospel. This book is about helping Christians and churches to understand the WHY, WHAT, HOW and WHEN of vibrant cross-cultural ministries, and to get involved. “Changing Lanes, Crossing Cultures. 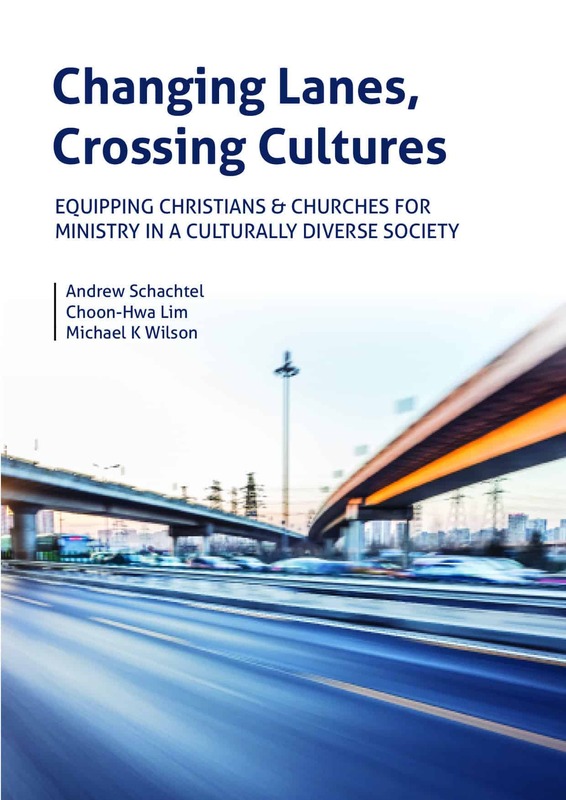 Equipping Christians and churches for ministry in a culturally diverse society” is a very practical guide to cross-cultural ministry. Its three authors are all cross-cultural practitioners in Australia. Andrew Schachtel worked overseas with Interserve for more than 20 years, and now serves as a team member of Interserve’s CultureConnect program engaging migrants, refugees and international students. Choon-Hwa Lim has a psychology private practice, lectures in Intercultural Communications, and has experience in developing international ministry in churches. 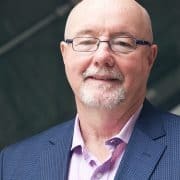 Mike Wilson has for over two decades been helping churches to reach out to people across cultures, and has lectured on ministering across cultures at a number of Bible Colleges. He also has overseas experience. Why “Changing Lanes”? As Christians and churches in Australia face the cultural changes taking place in our cities and towns, there’s a need to learn appropriate and effective new skills, and change approaches and directions in how we do ministry. This book will aid Christians and churches as they undertake the crucial, challenging but very rewarding process of changing lanes in an increasingly multicultural environment. Changing Lanes, Crossing Cultures includes an examination of the biblical motivation for cross-cultural ministry, steps to overcome obstacles, practical information on how to get involved and many helpful anecdotes and case studies. Each section contains thought-provoking questions for reflection and discussion. It’s written so that any person can pick it up and read it, or small-groups can study it over six sessions. We would love for the conversation not to stop here. We envision a collective of people sharing ideas and challenges, and how this book and other resources are helping them reach out to their neighbour. Will you join us? Visit us on Facebook and join the conversation. Are you interested in running a course using Changing Lanes, Crossing Cultures at your church or with your small group? CultureConnect can provide advice and training for church leaders and group facilitators seeking to use this unique resource. Interested in bridging the gap from the church to ethnic minorities in Australia? Join the CultureConnect team! Visit cultureconnect.net.au.